The NFL may be only a day or two away from addressing a major problem. That’s the overarching theme at One Buc Place a few weeks before players start trickling in to showcase their skills to a new staff. The once-hapless Cleveland Browns are making a move on the Buccaneers. Free agency 2019 is here and Sage Ira has firm opinions and certainly is not calling for panic. Not yet anyway. 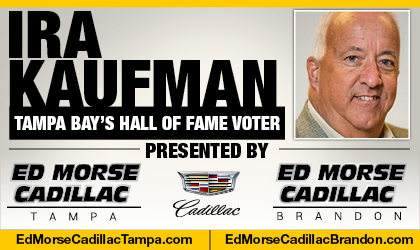 This new episode of The Ira Kaufman Podcast, as always, is presented by Ed Morse Cadillac Tampa and Ed Morse Cadillac Brandon. Check out their Tournament of Savings event now while you listen! 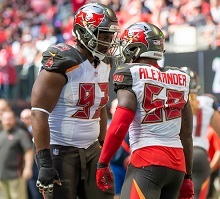 Derrick Brooks’ Role In Kwon’s Contract? 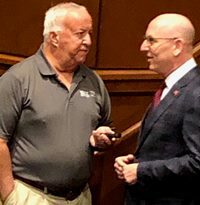 The Sage of Tampa Bay sports has a lot on his mind as Bucs fans now sit just an arm’s length from free agency. 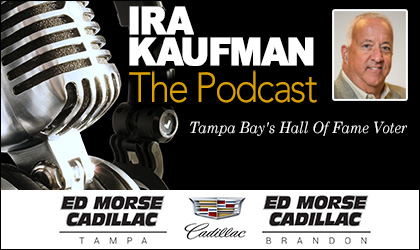 The Ira Kaufman Podcast is always a passionate affair presented by Ed Morse Cadillac Tampa and Ed Morse Cadillac Brandon. Ira is going back and forth with Joe in this episode on many subjects.